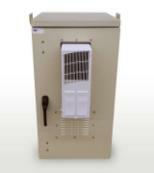 enclosure for your radio, wireless, network or industrial deployment requirements? and integrated electrical load centers. (NEMA 4) or corrosive protected (NEMA 4X). Fan cooling is available as required. Please contact us to review application specifics. specific cooling requirements, matching AC cooling capacity to heat generation. at site. 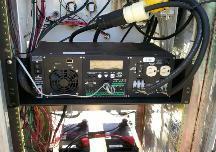 Three phase input available upon requirement. contact us to review application specific requirements. schools, universities and the US Military. contact us to review specifics.